Dear readers, it’s been a long time since my last post, so I’m happy to come back with a new tutorial, which I truly believe you’ll find quite interesting. Today I’d like to tell you about a third-party API that can make your life easier when using autolayout constraints. It’s called SnapKit. We all create constraints one way or another. 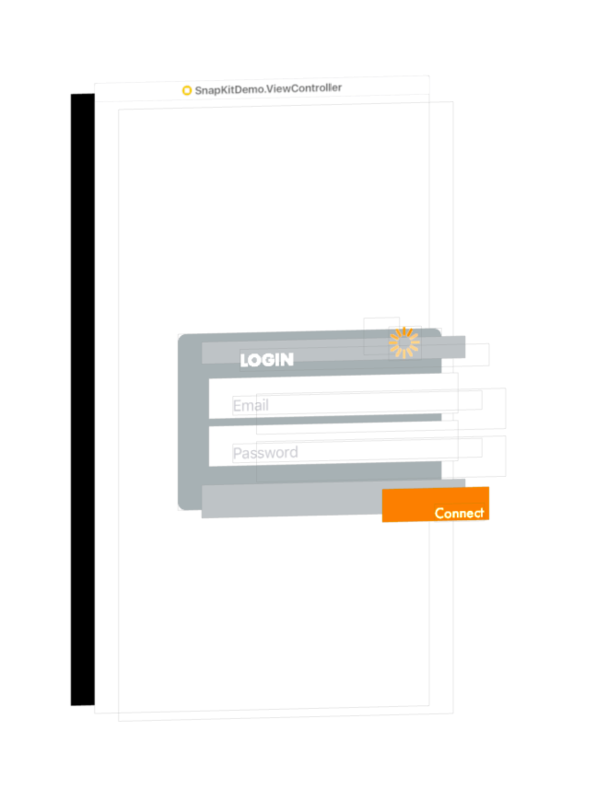 Constraints can be made in Interface Builder, or programmatically with pure code. Not all developers have the same preferences; part of developers like using Interface Builder, part of developers like coding the constraints. There are also people who are doing both. The discussion in this post has to do with making constraints in code, but even if you’re an Interface Builder enthusiast, please keep reading. You might find the following content interesting. Also, and for your reference, here’s an older post about making constraints in code. So, talking about creating constraints programmatically, it’s not that difficult to specify them as far as you know the kind of constraints you need and how they should be combined. But this is often proved to be a cumbersome work because a lot of stuff is needed to be written in order to set all constraints up properly. At the end, it’s easy to end up with big fragments of code that configure constraints which describe the relationship between views, offsets, constants, and so on, but it’s hard to read and modify them. And here’s where SnapKit gets into play. With SnapKit it’s extremely easy to create and setup constraints, as the technique that it offers to do that is quite simple, and on top of that the amount of code required is way less compared to the traditional way. This inevitably leads to a great advantage; we have a cleaner, easier to review code, which is better manageable than before in most cases. Moreover, it’s easier to focus on the constraints only, without bothering to provide arguments to built-in functions that we don’t really care about. To have a first taste of SnapKit, just pay a visit to its website, otherwise keep on reading here. It’s my true belief that if you are used to making constraints in code, then most definitely you’ll become a SnapKit fan. In the next parts of this post we’ll examine how to setup constraints based on different requirements, but not just that. We’ll also see how to animate them. 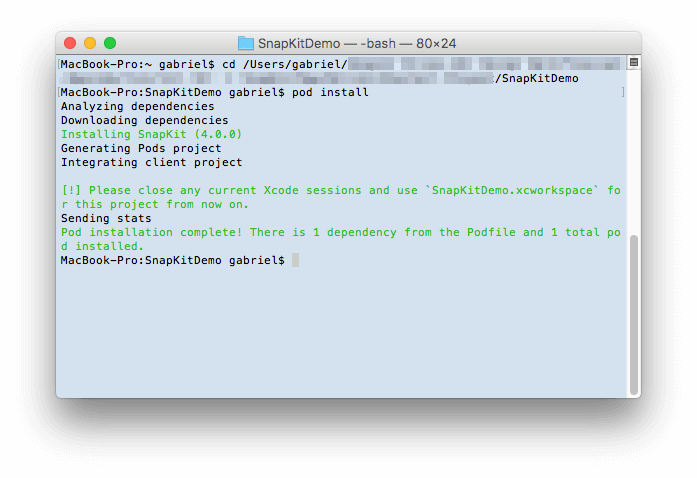 Before I present the demo project of this post, I find it useful to mention that you can combine SnapKit with constraints made in the traditional way, but you’re not encouraged to do so for two reasons. Firstly, SnapKit can cover all of your needs, and secondarily there’s high risk of messing things up. Now, let’s see what we’re about to discuss in the following parts. There is a container view in the center of the screen that contains everything else as its subviews. The title label is contained to an inner container view, which in turn is added as a subview to the main container view. Similarly, the Connect button is contained to another view that is added as a subview to the main container view. The two textfields are added as subviews directly to the main container view. viewContainer: It’s the view shown to the center of the screen. viewTop: It’s the view that contains the title label, positioned to the top of the viewContainer view. viewBottom: It’s the view that contains the Connect button, positioned to the bottom of the viewContainer view. activityIndicator: An activity indicator that will appear when the Connect button is tapped (more about that in a while). There are also several constants that describe color values, widths and heights. For example, the containerViewBGColor and the innerViewBGColor constants represent the background color of the viewContainer and the two other views to top and bottom (viewTop and viewBottom) respectively. The containerViewHeight specifies the height of the viewContainer view, while the textfieldHeight is the desired height of the two textfields. The topInnerViewHeight and bottomInnerViewHeight are the height values that we’ll use for the viewTop and the viewBottom views, and the connectButtonWidth represents the width of the Connect button. Besides the properties, there’s an init() method that we’ll use to initialise a LoginView object in the ViewController class later. In it, our class declares itself as an observer for two notifications regarding the keyboard: UIKeyboardWillShow that is sent by the system when the keyboard is about to appear, and UIKeyboardDidHide that is sent by the system when the keyboard has been dismissed. The handler method stubs for these two notifications also exist in the class, called handleKeyboardWillShow(notification:) and handleKeyboardDidHide(notification:) respectively. For the time being there’s no code in these two methods, but that’s something we’re going to change when the time comes. Finally, there’s one last method declared too, called connect(). This one will be called when the Connect button is tapped. Three seconds later the textfields and the activity indicator will be put back in their original positions, following the opposite direction in an animated way again. This animation will give us the opportunity to learn how to re-create the entire set of constraints of a view, and how the new constraints configuration can be applied animated. Now that you know what the demo project is all about, let’s proceed in integrating SnapKit in the starter project. Download and import the source files into the project. Here we’ll make use of the CocoaPods. If you have downloaded the starter project and opened it in Xcode, then please close it before you proceed. Save the file and close it. 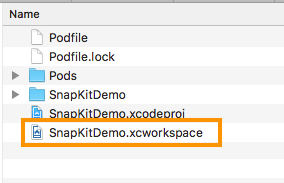 Note that if you’re going to integrate SnapKit in a project of yours, you should not forget to replace the SnapKitDemo name with your project’s one in the target line. In case the pod install command doesn’t work for you, then most probably CocoaPods is not installed on your system, so search on the web for a solution like this one. Having integrated SnapKit to our project and knowing what our goal is, it’s about time to start making some real work and explore the SnapKit’s usage.The first step we have to take is to create the container view that will “host” the textfields, the title and the connect button. As demonstrated previously, this container view will occupy just a portion of the screen, placed on its center. Add it to the main view (self) as a subview. If the error is still there, try to clean and build the project, by going to menu Product -> Clean and Product -> Build respectively. If the error persists, then close Xcode, reopen it, and repeat the clean and build steps. To have an offset from the left and right side of 40px, but at the same time not to be greater than 500px. To be centered on the screen. 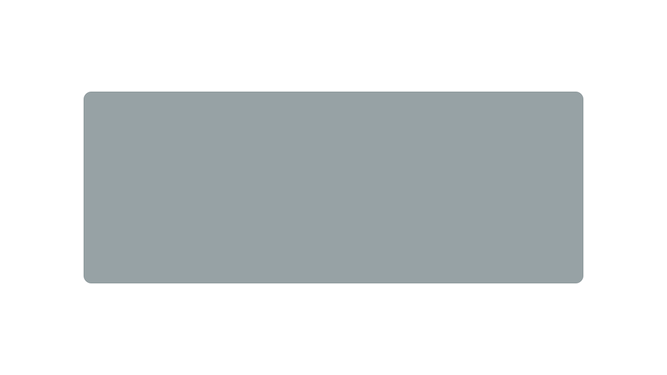 To limit its height to the value of the containerViewHeight constant (192px). With the first two lines we make the left and right sides of the container view equal to the left and right of the parent view; the equalTo() method can accept a number of different arguments: View objects, actual values (CGFloat values), or other SnapKit constraint objects. In our case, we provide the parent view as an argument. 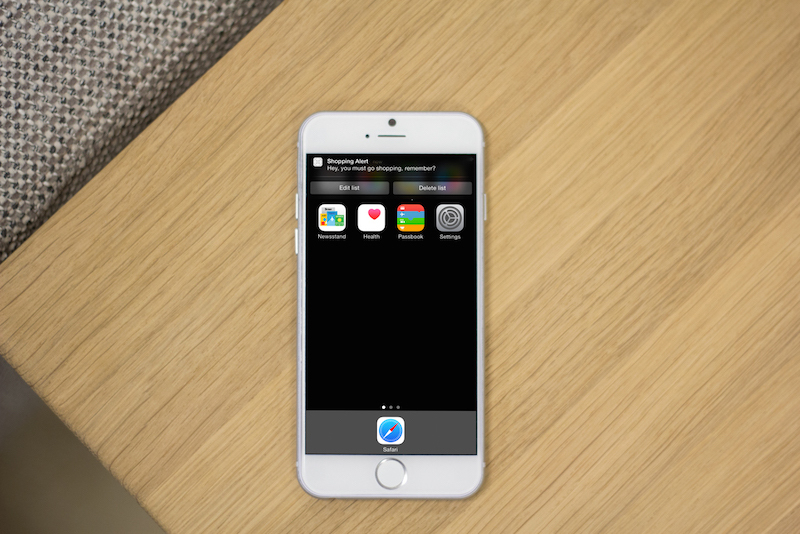 SnapKit will automatically match the left and right sides of the two views. However, as we need to add some padding, we call the offset() method in both lines and we specify the amount of offset we desire. Note that for the right side the offset must be a negative number, otherwise the view will extend to the right and out of the visible area of the screen. An additional requirement regarding the width of the container view is that it should not be greater than 500px. So, we limit it in the third line by calling the lessThanOrEqualTo() method, and we set an actual value as its argument. Now, the container view won’t become more than 500px in devices with big screen. The two single constraints that are being created with the above two lines will have the same result as if we would have used the center property only. Lastly, we specify the desired height of the container view. This time, we pass the containerViewHeight constant value as an argument to the equalTo() method. Now that we have seen for first time how constraints are specified using SnapKit, it’s easy to say that creating the UI in code becomes a fast process. Behind the scenes, SnapKit will create real constraints (NSLayoutConstraint objects), but we’ll almost never need to access them; this high-level approach that SnapKit offers is all we need to handle layout. As a side note, if you’re experienced enough with constraints, you might realise that the above constraints definition might cause some problems when the app will run. Don’t mind for now though, we’ll deal with that in a while. // Set the background color of the container view. // Make the corners of the container view rounded. // Set the following flag to true to allow clipping of the subviews if they exceed the container view's bounds. The comments explain what the above lines are all about. 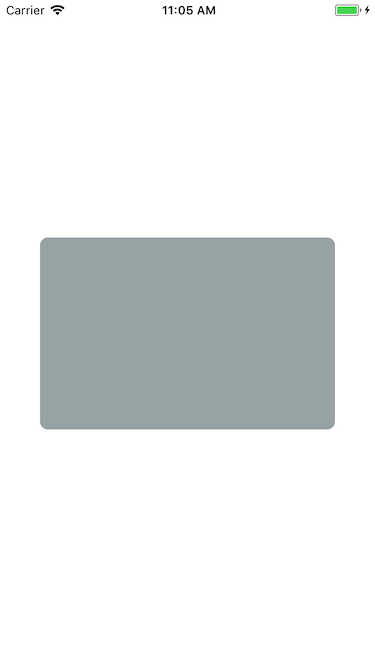 The containerViewBGColor is a constant describing the background color of the container view. Note: Don’t forget to import SnapKit module in this file too! What we just did is pretty awesome! 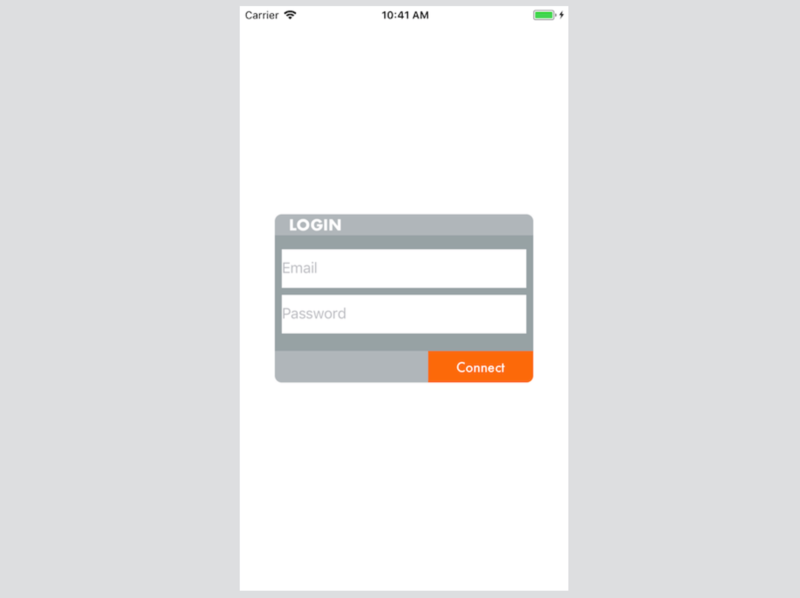 With one line only we managed to specify the position and height of the login view! SnapKitDemo[35586:496540] [LayoutConstraints] Unable to simultaneously satisfy constraints. "<NSLayoutConstraint:0x604000283b60 'UIView-Encapsulated-Layout-Width' UIView:0x7f955b60cf20.width == 667 (active)>"
Look carefully, and you’ll realise that the left and right constraints of the container view in the LoginView.swift file conflict with the constraint that limits the width to 500px. Actually, the left and right constraints are specifying the width of the container view in an indirect way. That means that in runtime iOS will try to satisfy two different constraints regarding the width, and of course this is impossible to happen. 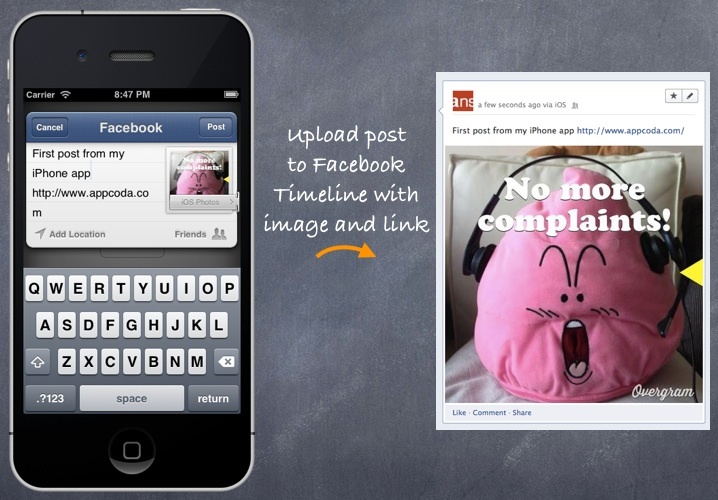 The result is a message like the one shown above and a layout that doesn’t match to what we really want. So, what’s the solution? Why? Because if the screen width is big enough this constraint will limit the container view’s width and we don’t need the other two (most probably padding will be more than 40px from the left and right edges, so they’ll be practically useless). On the other hand, if the screen width is not that big then this constraint is satisfied (width <= 500), so the left and right constraints will apply and we’ll have the minimum offset on left and right. Our first meet with SnapKit just came to its end. In this part not only we learnt how to deal with constraints in a fast and simple way, but we also met some of its details, like for example how to set priorities, or how to set a constraint that is not just equal to another value. In the next part we’ll keep on going by creating all the other subviews of the login view, and at the same time we’ll discover more SnapKit features. Keeping on building our UI for the login view, the Login title is what we’re going to add next. The UILabel that we’ll use to show the title won’t be added directly as a subview to the container view. Instead, we’ll add it to another, smaller container view, which in turn will be added to the viewContainer. This view is already declared in the LoginView class and is named viewTop. Nothing special is taking place above; we just initialise the viewTop, we add it to the container view, and we specify its background color. And that’s it, the top container view is ready! // Set the label's text. // Make the text color white. // No background color for the label. What we just did is another new thing about SnapKit; how to set up constraints by specifying the edge insets of a view and custom offset values. Next, we’re going to add the two textfields for the user’s email address and password respectively. // Initialise the email textfield and add it to viewContainer. // Set self as the delegate of the textfield so we can handle the Return button. // Set a placeholder that will be visible when there's no text typed in the textfield. // No border around the textfield. // Set white background color. // Set the proper keyboard type so it's easy to write email addresses. // Show the Next button instead of the default Return key on the keyboard. // Prevent the first letter of the email from being capitalized. To have a padding of 16px from the bottom side of the viewTop view. To have a padding of 8px from the left and right edges of the viewContainer view. To have a height equal to the textFieldHeight constant. Look at the contents of the first parenthesis. We’re referring to the snp property of the viewTop view, and then we’re accessing the bottom constraint. At the end, we’re adding an offset of 16px. Let’s add the missing constraints (left, right, and height). // The following properties are almost identical to the email textfield's properties. // Show the Done title instead of the default Return key on the keyboard. // Indicate that this is a password field by making the following flag true. Notice that we make the left and right constraints equal to the email textfield’s, which means that if we ever change them for the email, then they’ll automatically get changed for the password too. When the email textfield has the focus and the Next button is tapped on the keyboard, the password textfield will become the first responder. If the password has the focus, then the keyboard will be dismissed when the Done button is tapped. The Connect button is going to be contained to a parent view called viewBottom which in turn will be contained to the viewContainer view. // Initialize the viewBottom view and add it to viewContainer. // Initialize the Connect button and add it to viewBottom view. // Set the white color as the button's text color. // Set the light gray color as the button's text color when highlighted. // Make the background color orange. // Set the title font. // Specify the method that should be called when it's tapped. The last line above has something new to teach us: When a SnapKit constraint has to be equal to another constraint of the same view, then we can access that constraint by using the snp property as shown here. The above makes sure that even if we set a different value for the width, we don’t care for the height; it will always be equal to the width. It’s a good time now to test the demo app. The login view is ready and contains all of its subviews. While testing, change the device orientation from portrait to landscape, and see that all sizes and positions are being respected when the orientation gets changed. As we’ll see right next, animating a SnapKit constraint is an easy thing to do. In most cases, including what we are about to do here, changing the offset value of the target constraint or constraints is just enough; other times the constraint should become equal to another value or constraint, different than the original one. No matter how a constraint will be animated, the first thing you should always have in mind is that you need to access the target constraint out of the closure where it’s being originally created. The centerYConstraint is a class property, and it’s a Constraint object, a custom type that SnapKit defines. Accessing the constraint after setting the centerY constraint at the end of the above line and assigning it to the centerYConstraint is the only way to keep a reference to the centerY and use it at a later time. The above change might look strange, however since it’s a requirement for us to have access to the centerY constraint, there’s no other way. Let’s leave the setupContainerView() method now, and let’s go to the handleKeyboardWillShow(notification:) which is called when the keyboard is about to appear. As a reminder, there are two lines of code in the init() method that enable the LoginView class to observe for two notifications regarding the keyboard: UIKeyboardWillShow and UIKeyboardDidHide. The first one is sent by the system right before the keyboard appears. The other right after it disappears. And now the magical lines that will make the viewContainer view move animated. Our goal is to change the offset of the centerY constraint through the centerYConstraint property and apply a value equal to the calculated overlappedSpace. The offset will have a negative sign which indicates a movement towards top. At first, we change the offset as said. Then we call the setNeedsLayout() of self to invalidate the current layout. Finally, and inside a UIView animation block, we call the layoutIfNeeded() method that forces our view to apply the new layout we want. Sometimes updating one constraint only is not enough to give you the desired result, and remaking or updating the full set of constraints of a view is one-way road. With SnapKit we can easily recreate or update existing constraints, and if we combine such changes with an animated update of the layout we can produce beautiful effects. In this part we’re going to learn how to remake constraints, and how to update them. The process for both is quite similar to what we’ve learnt already about making new constraints, with one exception only: We need to call different methods of the SnapKit API. Note: In the following examples we are going to recreate all constraints of the two textfields, even though that’s not necessary. We would be fully covered by simply animating one constraint only as we did in the last part. However, and just for educational purposes, we’re going to stick to that approach so it’s possible to meet some additional features of SnapKit. The email textfield to move towards right and out of the visible area of the viewContainer view. The password textfield to move towards left and out of the visible area of the view. The activity indicator to move towards bottom and stay to the center of the viewContainer view. For the email textfield, the left constraint must become equal to the right constraint of the viewContainer view. For the password textfield, the right constraint must become equal to the left of the viewContainer view. For the activity indicator, the centerY must become equal to the centerY of the viewContainer view. All the rest of the constraints will remain as they currently are, but as underlined before, for the two textfields we’ll recreate them just to see the way this can be done. The isAnimating property is already declared in the LoginView class, and its default value has been set to false. With that addition in our method, we call the updateConstraints() and we update the centerY constraint of the activity indicator. In this particular case, we make it equal to the centerY of the viewContainer view. In our example we update one constraint only, however it would be totally possible to update more of the same view in the same closure if it was necessary to do so. timer is a property already declared in the LoginView class. The above addition initialises it and makes it invoke the revertLoginView() after the period of 3 seconds. The app cannot be tested yet, because we have to implement the method we called right above, the revertLoginView(). In this one we’ll proceed in the exact way as we just did, meaning that we’ll recreate the constraints for the textfields setting their initial, original values, and we’ll update the centerY constraint of the activity indicator so it goes back to its original place. Next we’ll trigger the animation, and when it’s finished we’ll invalidate and make nil our timer. Finally, we’ll update the value of the isAnimating flag. Reaching to the end of this post, I hope you appreciated the benefits of using SnapKit for setting up your UI programmatically. From my point of view, the less and clearer code, as well as the simplicity it offers in combination to the final results consist of a well working recipe. 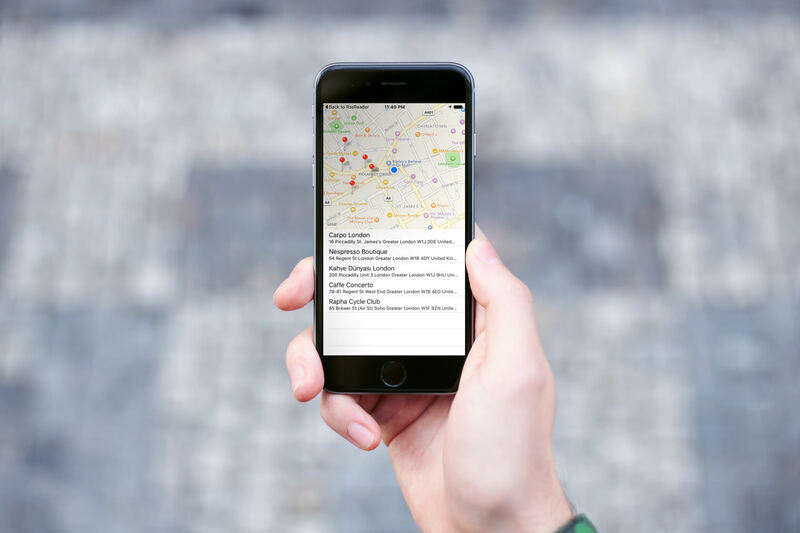 On the other hand, that doesn’t mean that we should forget forever how to make constraints programmatically using any of the available iOS APIs. And there’s always the constant risk: It’s a third-party API, so one day may not be maintained any longer. But for as long as it’s there, it’s a really cool, developer friendly tool. And focusing on what we learnt here today, I can safely say that most of your needs are going to be covered. So, enjoy! For your reference, you can download a final version of the demo project from GitHub.